Mumbai: With Mumbai Metropolitan Region Development Authority (MMRDA) planning to introduce first-class metro compartments in its upcoming projects, Delhi Metro Rail Corporation (DMRC) feels this might decrease carrying capacity. 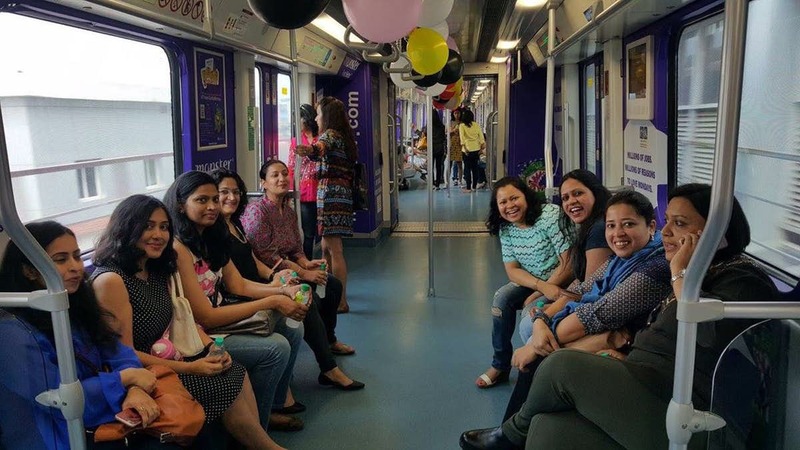 DMRC feels that the present metro compartments already have one compartment reserved for women. With introduction of first-class compartments in metro, the carrying capacity is likely to be affected. A DMRC official had expressed that out of six coaches that will be part of Mumbai Metro, MMRDA is planning to reserve half a coach for first class compartment. This move might impact the carrying capacity and also discourage commuters to take metro over other public transport. DMRC plays an instrumental role in metro rail projects as it build Metro Corridors across the country. It is also helping MMRDA in construction of metro corridors in the Mumbai Metropolitan Region (MMR). MMRDA officials feel that by introducing first class compartments, it will be able to attract car riders to take metro, thereby reducing traffic. DMRC officials on the other hand explained that similar initiative was taken by Chennai Metro and it was not successful. Additional Metropolitan Commissioner, MMRDA, Pravin Darade in media briefing shared that introducing first class compartments will not impact carrying capacity. He further explained that if traffic increases, they plan to add two more coaches to accommodate the rush. Darade also shared that they planned to offer advance booking facilities along with Wi-Fi connectivity as well as USB charging ports within metro stations and coaches. MMRDA is making steady progress in terms of laying down metro lines. It has already started the process of procuring metro trains for three corridors for metro stations. These include DN Nagar-Mandale Metro-2B corridor, the Dahisar East-Andheri East Metro-7 corridor and Dahisar – DN Nagar Metro-2A corridor. Together these three metro stations will handle 15 lakh passengers on daily basis.